Majesty’s Revenue & Customs (HMRC) is once again hounding its own employees for potential six-figure bills as part of a crackdown on tax avoidance schemes. Some years ago I was a victim of one of these crackdowns, as an Information Technology consultant I, along with thousands of others working as external consultants in both government and business were forced by the tax inspectors to operate as limited liability companies. e self employed status to avoid National Insurance Employers Contributions (a sanitized name for a British payroll tax,) as the self employed were not liable for this levy. By reinterpreting a law in such an extreme way it stretched words beyond any literal meaning, the taxman decided we should all set up limited companies, with ourselves as the only employee, thus making our employers, the quasi – companies, liable as our employers for the payroll tax. 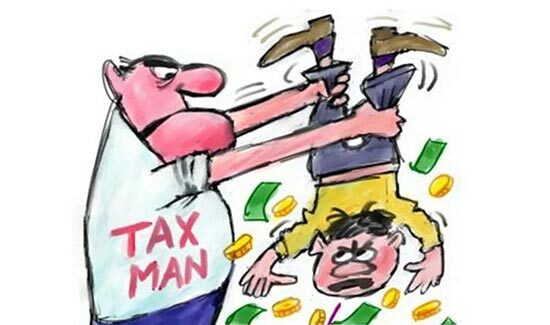 Taxman thought he had won, but people who decide to employ themselves are bright, resourceful types and we soon learned the completely legal tax dodges used by the super rich, through their companies and trusts. We got ourselves accountants who advised on techniques like buybacks, directors loans etc. and we, in partnership with our incorporated dopplegangers, were soon all paying less tax than we had as self employed individuals. Needless to say the taxman was furious. But we IT professionals, consultant engineers, designers, technicians and other contract workers in media, finance, healthcare and across the whole range of commercial activities were being advised and assisted by accountants. So the taxman hit on a new idea, he talked politicians into passing retrospective laws. Something you did legally in, say, 1995, could in 1998 be declared to have been a crime since 1993, thus in 1999 you could be prosecuted for it. And they call this liberal democracy. All that was a long time ago. The techniques we used then have been blocked one way or another, and as a bonus for the taxman, Britain’s software industry died (well, relocated to cyberspace,) as a result. Among the people in another purge to fall foul of this new retrospective lawmaking were entertainers and sports stars. And like the professional consultants of my era, a few years earlier, these people fell foul of the taxman for doing something that was perfectly legal at the time they did it. Around 50,000 contractors are now being targeted by the tax office for using so-called disguised remuneration schemes, which involved receiving income in the form of tax-free loans from an offshore trust, throughout the Noughties and more recently. It has now emerged that HMRC engaged contractors who were being paid in loans and is now pursuing them for the unpaid tax, the Sunday Telegraph revealed. A panel of MPs looking into complaints about HMRC’s persecution of certain groups has received evidence from multiple contractors once engaged by the taxman who say they used disguised remuneration arrangements and now face penalties. “What’s more, the evidence we’ve received also shows that these people declared all their arrangements in their annual tax return, so contrary to their claims not to know, HMRC were indeed aware contractors working for them were using these schemes. Well yes, as I said earlier the government has been at war with enterprise, creativity and talent for a long time. In December, the House of Lords Economics Committee criticised HMRC’s approach to recouping the tax owed, describing it as “retrospective” and saying it was failing to distinguish between “contrived tax avoidance by sophisticated, high income individuals” and relatively low earners who made “naive decisions”. He added that all contractors found to have used a loan scheme would be treated the same. What a pity they do not feel able to deploy the same diligence in their dealings with companies like Amazon, Google, Facebook, Apple and Microsoft, all of which are handled with kid gloves in spite of blatantly operating tax scams to avoid paying tax on most or all of their corporate profits. Google is an enemy and must be broken up, or freedom dies. Justice Mark Warby, presiding, said it had been blocked because claims that people had suffered material damages were not supported by the facts, as well as the impossibility of calculating the number of iPhone users affected. The collection of data was “wrongful and a breach of duty,” he said, but ruled that there was insufficient evidence “damages” had been incurred to allow the law suit to go ahead. The Judge has a point, but we should ask now, why is the UK government through its communications regulator OFCOM not prosecuting Google on behalf of the public, when it is blatantly obvious these data pirates violated about a million proivacy and data protection laws. The legal challenge was instigated by a group calling itself Google You Owe Us, and was a representative action — a claim brought by an individual on behalf of a group of people. It alleged that Google, a unit of the US tech company Alphabet, had bypassed privacy settings oniPhones (not difficult, Apple are not the technology gods they sell themselves as,) between August 2011 and February 2012 to collect data for sale to advertisers for the purpose of targeting internet users with advertising matter based on their internet browsing habits. It launched legal action last November. Richard Lloyd, leader of the users’ group Google You Owe Us, called the decision “extremely disappointing” and said there were plans to appeal. “Today’s judgement effectively leaves millions of people without any practical way to seek redress and compensation when their personal data has been misused,” he said. “The privacy and security of our users is extremely important to us. This claim is without merit, and we’re pleased the Court has dismissed it,” a Google spokesperson said. Well they would, wouldn’t they? The media, the so called ‘experts’ and politicians hail every technological advance as if it will btransport us from reality to a utopian paradise. but does Artificial Intelligence and related internet and computer technology pose theats to human society that far outweigh any possible advantages? Whateve, Google plan to put machines in our place on top of the food chain. Latest plans to extend biometric security, allegedly for our safety and protection but really we suspect to extend the powers of surveillance enjoyed by central authority, ought to be the straw that breaks the camel’s back and triggers wholesale resistance to the march of technology. Are you ready to start defending your freedom?